Jared is using Smore newsletters to spread the word online. 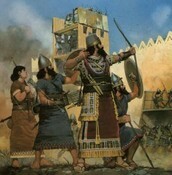 Recently our powerful army conquer the city-state of Babylon. 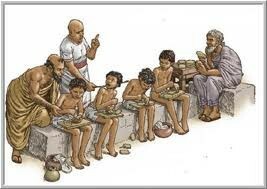 Only half of our troops traveled to Babylon because the others were battling the Kassites over food. With our new and improved weapons this battle was a breeze. 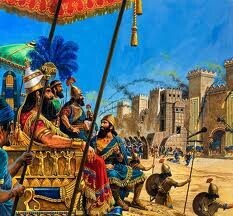 Our chariots worked perfectly helping us defeat Babylon. 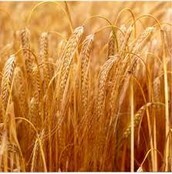 We have captured their king and have conquered their land to extend our empire. We are constantly working to improve our army and weapons. 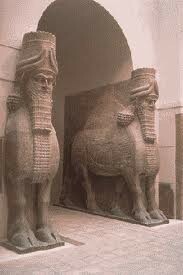 All hail Assyria! After our recent victory over Babylon many people paraded into the street playing military-themed music and displaying different types of art. 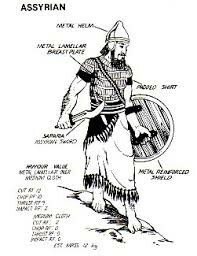 People were playing harps and lyres, painting the army in battle, at warrior camps, and the men in armor. 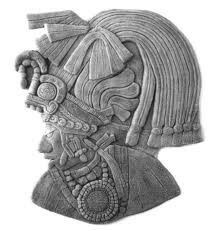 Many of the masterpieces were all handmade sculpted and some were even furniture, pottery, and jewelry. Our newest architectural feat, the Lammasu, are frightening our enemies away. Along with the Lammasu, huge buildings with demons attached to them are keeping us safe. Many people are following this idea with their homes so that enemies will fear coming near. The new idea is spreading all across our empire but we could only hope that other city-states don't follow us too. All children should attend schools as we need more literate scholars. Our number of scribes is rapidly decreasing and we need more for record keeping and to run schools. Also, we are known to be very good at mathematics and need to teach children how to do math because it is important during trade. Come to school as we are constantly trying to add literates and mathematician to our society. Recommended for men. 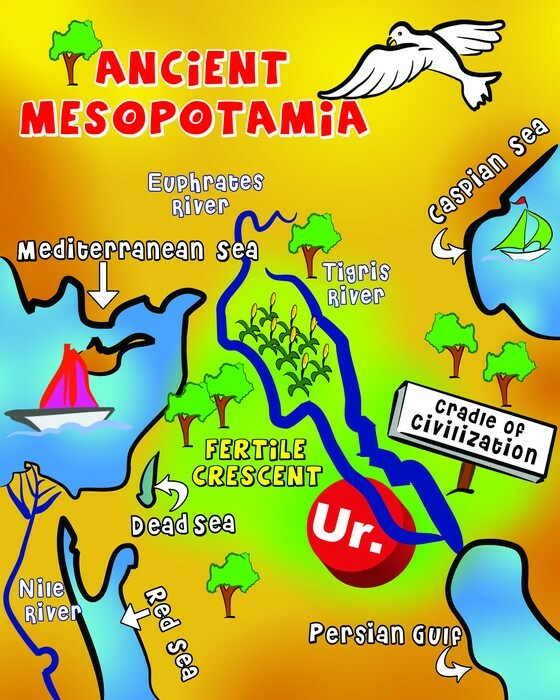 As Assyrians we shall only trade by land not water. 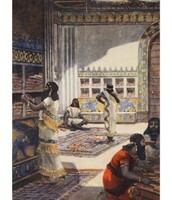 Last week while we were trading with Babylon we hijacked their route to Anatolia and also took their goods. We occupied this trade route immediately and offered barley to the Anatolians and got back timber and stone in return. 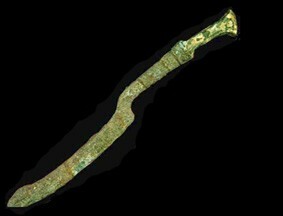 With this new trade route and goods we will make new tools, jewelry, and weapons. 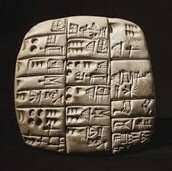 This new trade route will allow us to receive new goods that will only help our civilization. After our latest trading with Anatolia with were able to greatly improve our army. 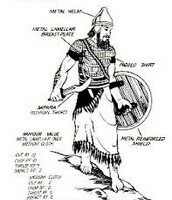 With our new metals we were able to make advanced weapons making our army nearly impossible to beat. 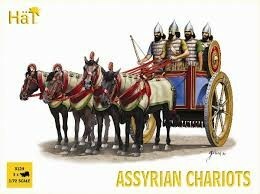 With these new army achievements the chariot has also been reconstructed for battle purposes. Our army has achieved the highest echelon amongst the other city-states with our new advancements. 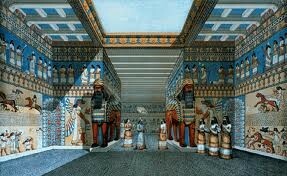 Our painters in Assyria have detected the Lammasu and lions as different meanings. 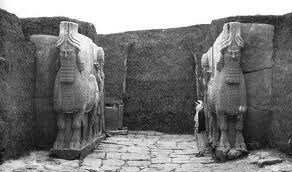 The Lammasu and lion both represent power and the lion also represents enemies. 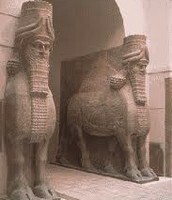 There are Lammasu on the main gates to scare away invaders. 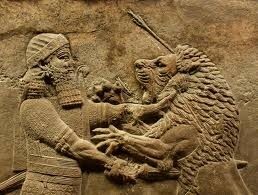 Also, most artists paint the king killing a lion because the lion shows enemies. Many people, are putting Lammasu on their houses to protect them. 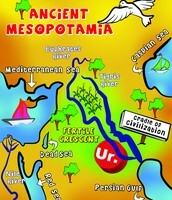 Thanks to our artists these symbols help our civilization strive. 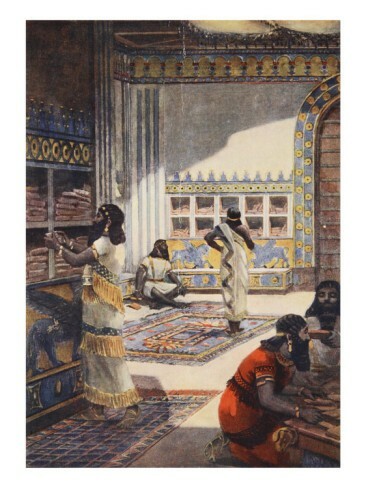 Library - Our very own Ashurbanipal came up with this idea to keep all written documents in one place. 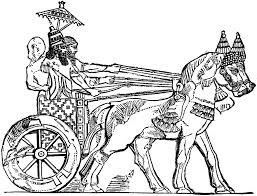 Chariot - The chariot was around before but we made some enhancements to make the method of transportation better for battle. 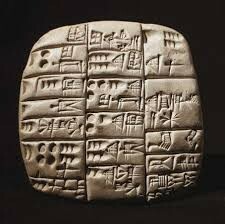 Mail System- This idea is completely new, we have assigned all houses in our empire a number and to send them a document just write it down on a slab and send it in to your local mailman. Glass - Glass is a very delicate material. It is a translucent and beautiful material that will be useful later on. 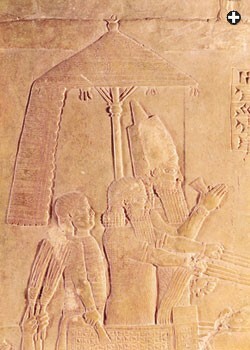 Umbrella- An umbrella is a fabric cover stretched and held together with a frame. It is on a pole and used so you don't get wet in rainy days. The rain bounces off the cover and keeps you and your family dry. Weapons - Lately we have been trading with certain city-states that we haven't traded to before. With the new materials we our making weapons. Weapons will make our army invincible! Once we plan out these weapons, we can add anything if it's needed. Our army is on a one-way road to victory with our latest improvements. 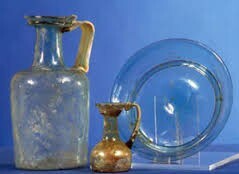 Glass was used for all different things! 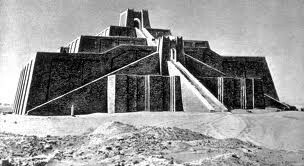 Our king, King Ashurbanipal, is sending your local scribes to collect clay tablets to put in the first library at Nineveh that he invented. So far he has collected 25,000 tablets and his goal is 30,000 tablets. 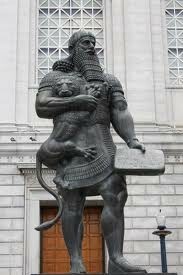 The tablets include gyms, prayers, medical, astrological, letters, contracts, and the most famous Epic of Gilgamesh. 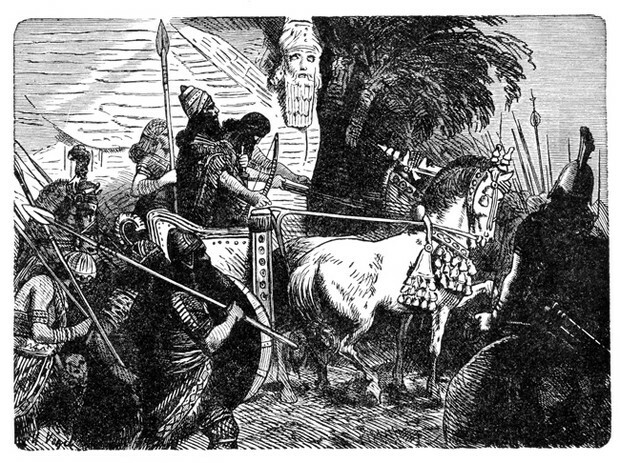 King Ashurbanipal was a scribe in his youth and his is one of the only literate monarchs. He is also a very brutal military leader and is very good at math. 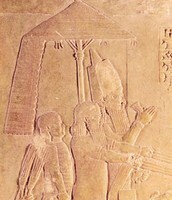 We are polyhteisic believing in more than one god. 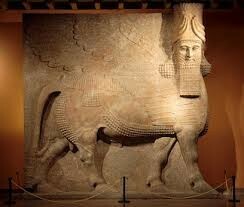 Our king, Ashurbanipal, is our god on earth. Currently priests are now starting to practice a new religion because we just discovered a new god. The new religion is not yet named but it will be named soon. Also, all dead, poor or rich, are eligible to be buried at their home with trinkets and weapons.